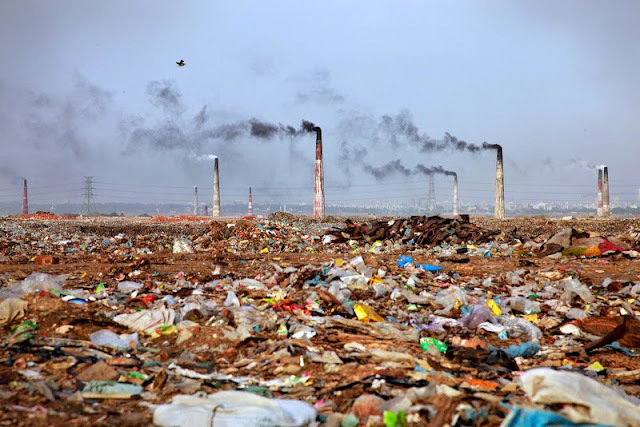 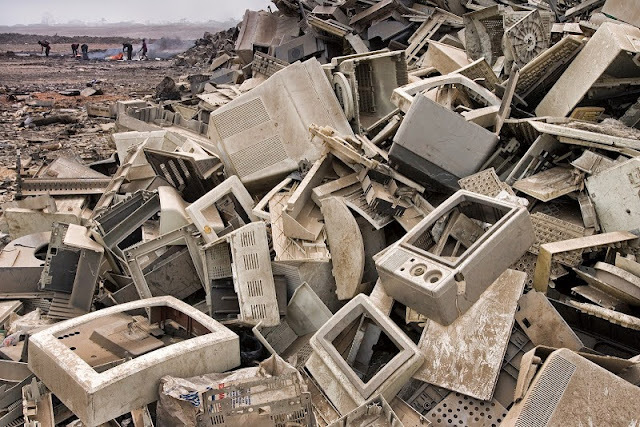 Electronic waste, from around the world, is shipped to Accra, Ghana, where locals break apart the electronics for minerals or burn them. 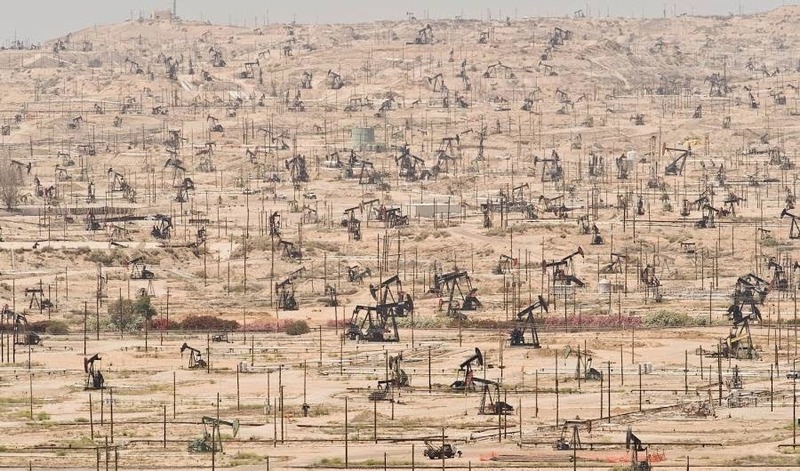 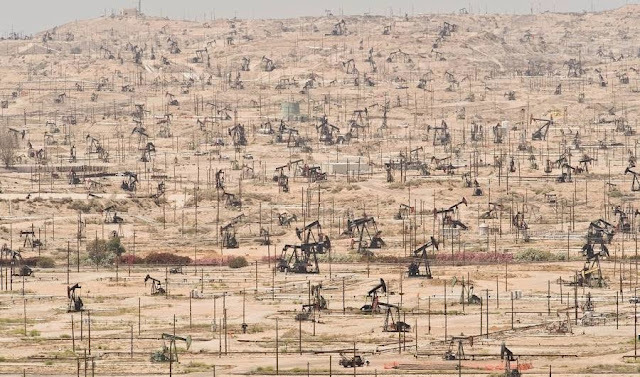 Kern River Oil Field, California, USA. 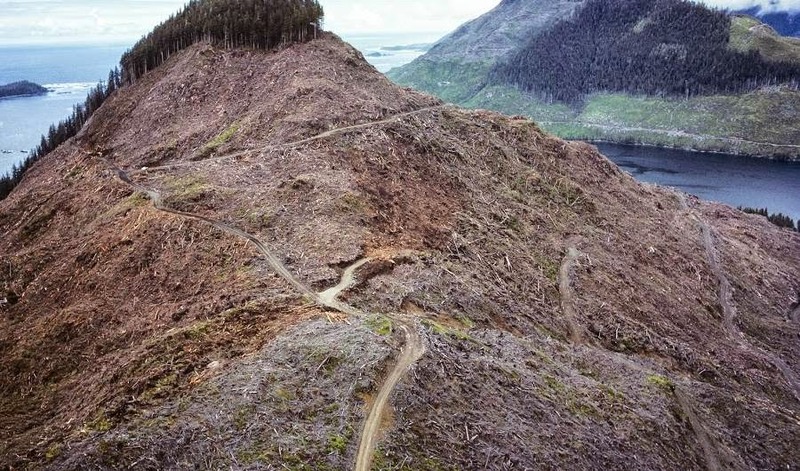 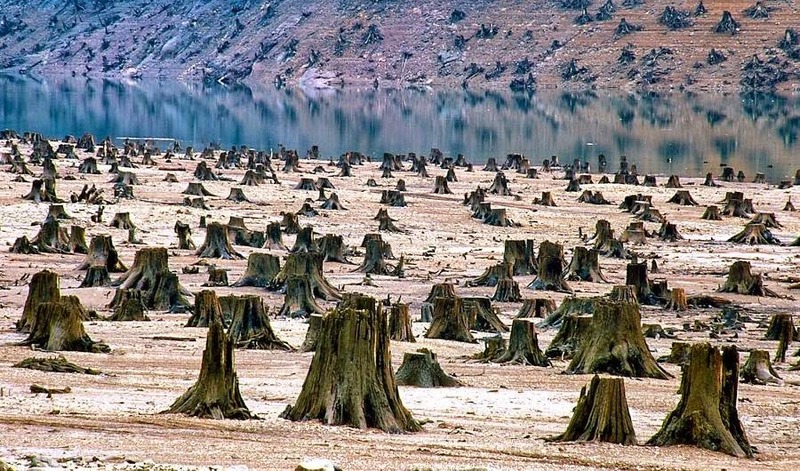 Former old-growth forest leveled for reservoir development, Willamette National Forest, Oregon, per the Population Media Center. 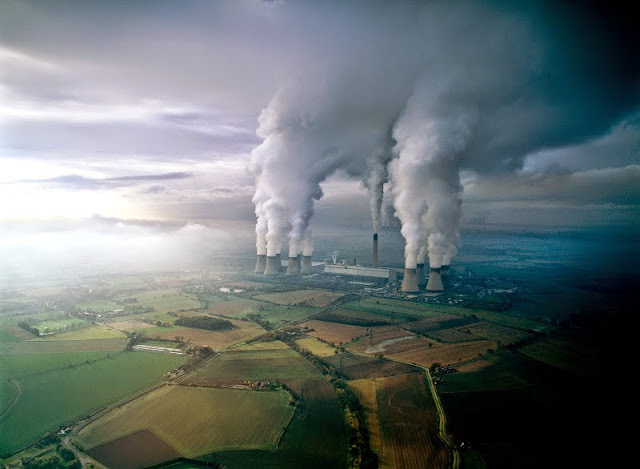 Coal power plant, United Kingdom. 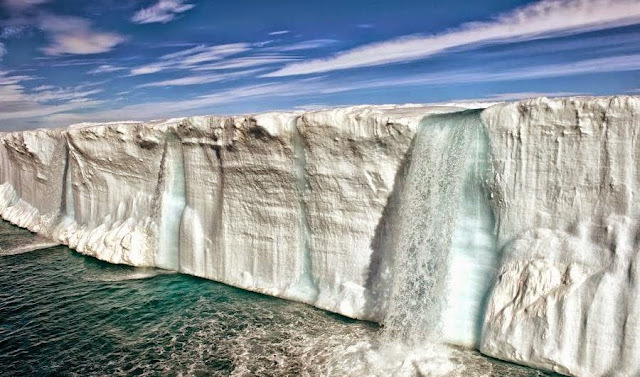 North East Land, Svalbard, Norway, where rising global temperatures are fundamentally changing the ecology. 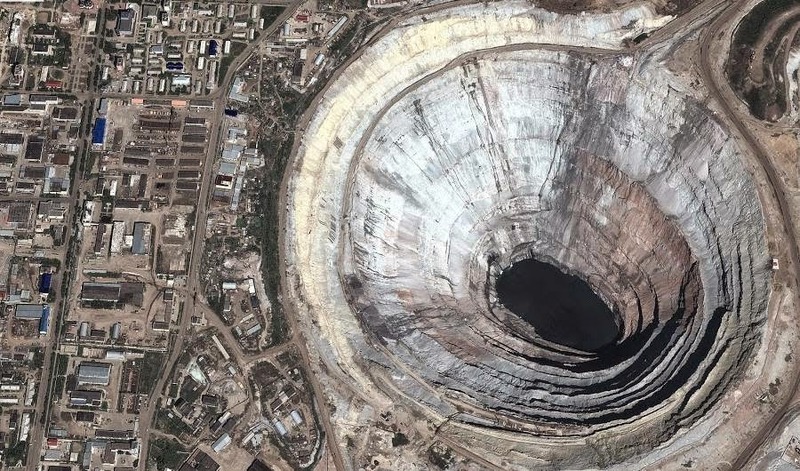 The world's largest diamond mine, Russia. 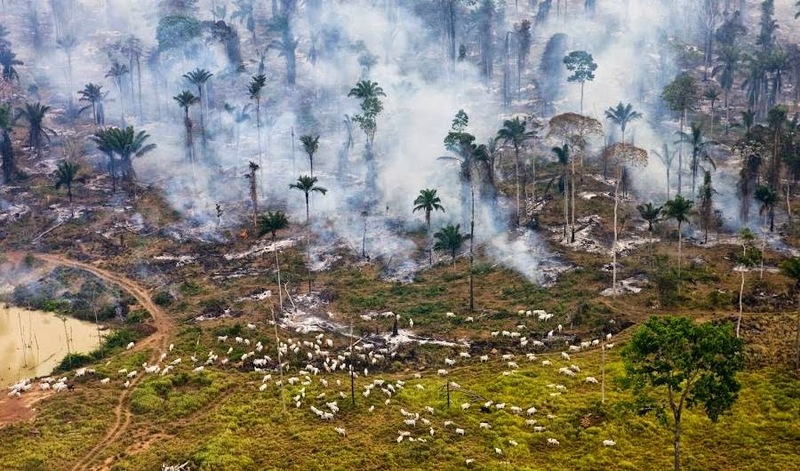 Amazon jungle burns to make room for grazing cattle, Brazil. 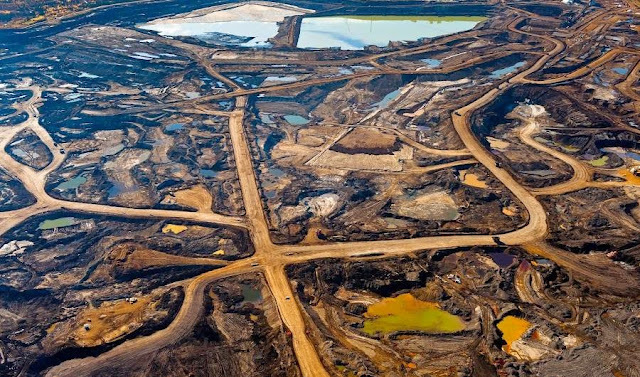 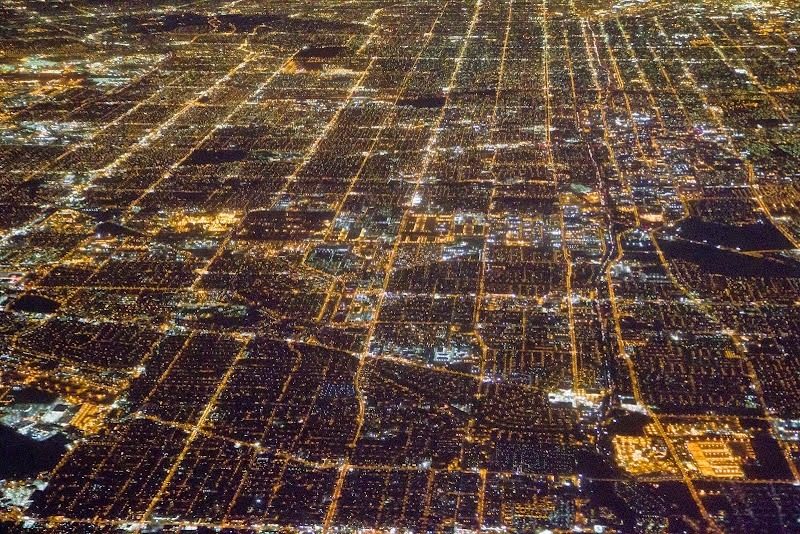 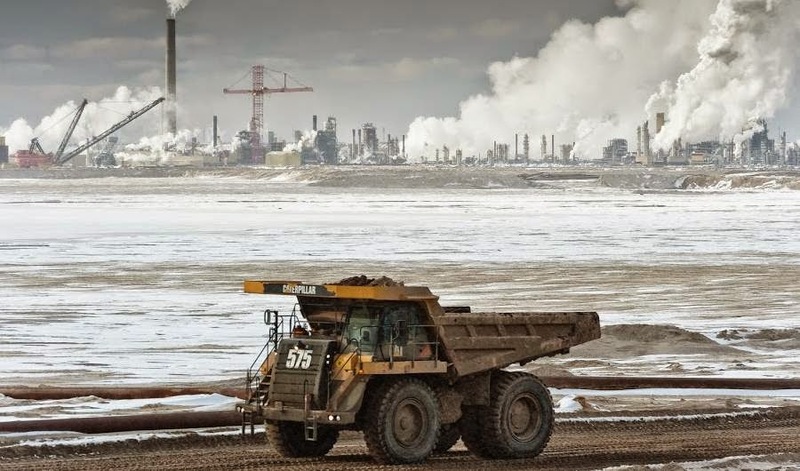 Tar sands and open pit mining in an area so vast, it can be seen from space. Alberta, Canada. 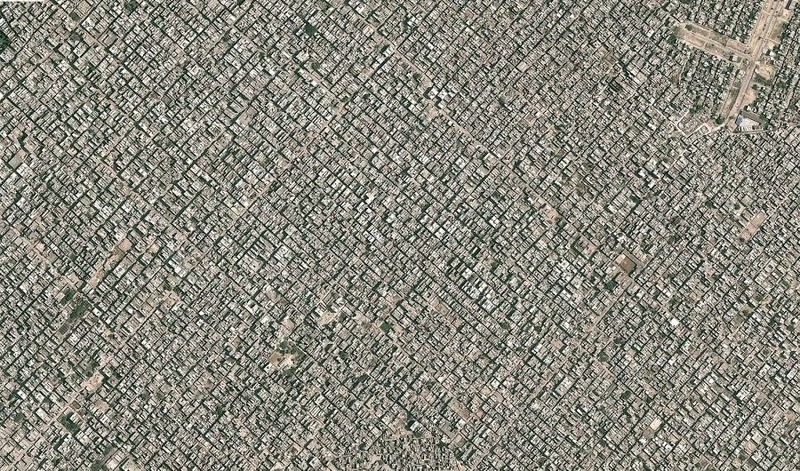 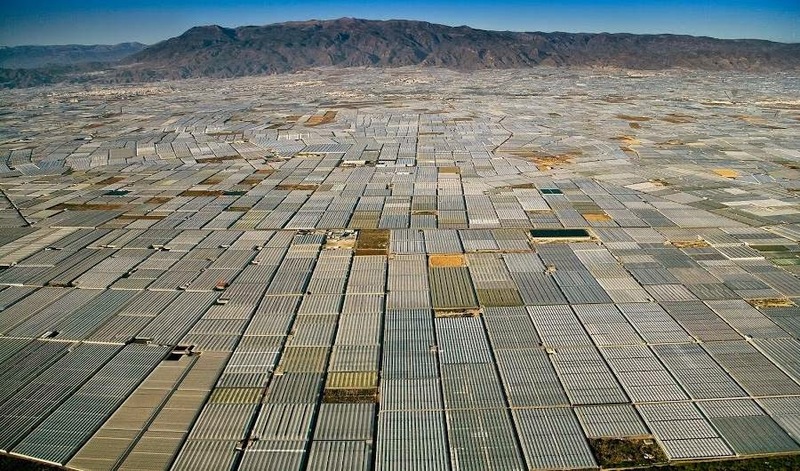 Industrial agriculture in Almeria, Spain, stretches for miles. 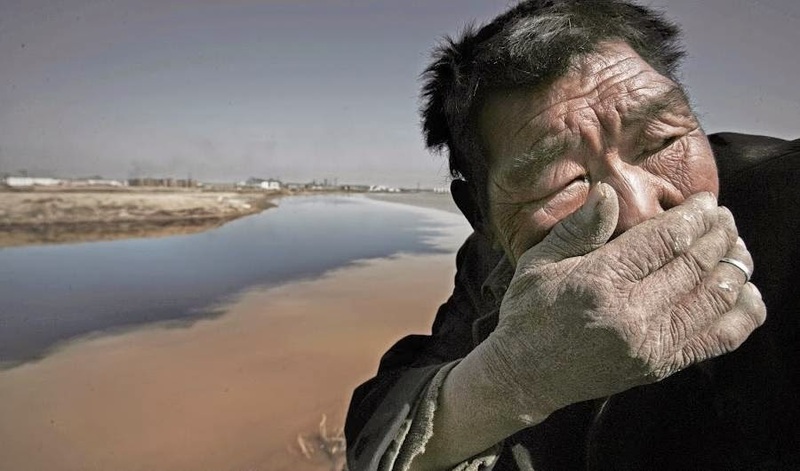 A man turns away from the smell of the Yellow River in China. 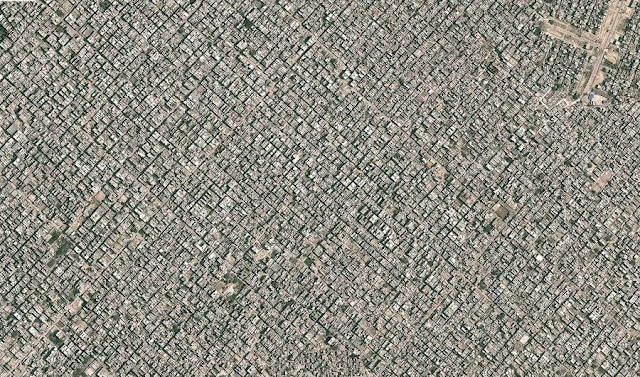 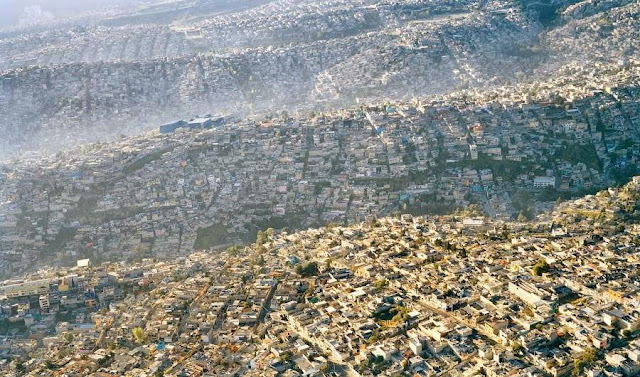 Bangladesh, where much of the world's clothing and goods are manufactured. 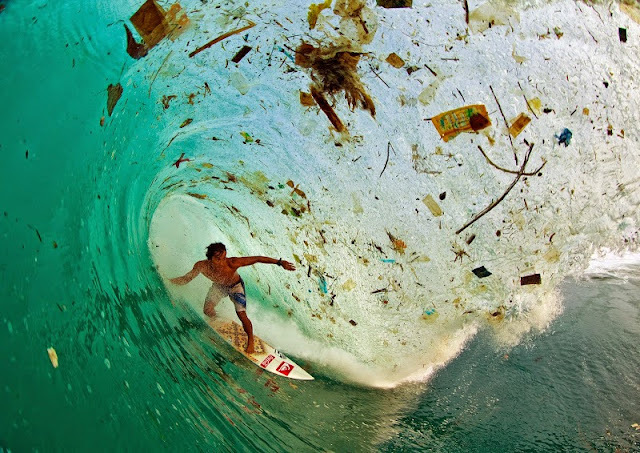 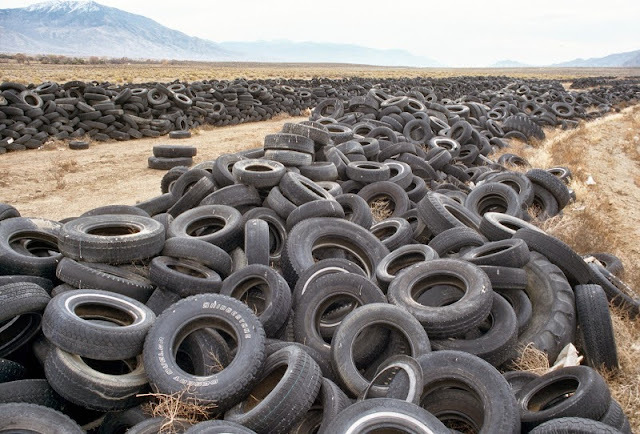 A remote bay in Java, Indonesia, where local residents, without infrastructure for waste disposal, discard waste directly into streams and rivers.